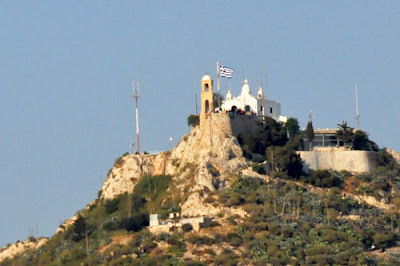 Lykavittos is the highest hill in Athens, and is visible from all over the city. A funicular brings visitors to the top of the hill, which offers great views over the Acropolis and the city of Athens. The hill, also called Lykabettos, can alternatively also be climbed on foot or by car. Cars can't reach the top, so you'll still have some walking to do before you reach the peak of the hill at a height of 277 meters (over 900 ft). Despite its prominence very little is known about the history of the hill, and ancient Greek writers rarely mentioned Lykavittos as life centered around the Acropolis and Philopappos. According to Greek mythology, Athena - the patron deity of Athens - dropped the rock here by accident when she was creating the Acropolis. The origin of the name of the hill is unclear. 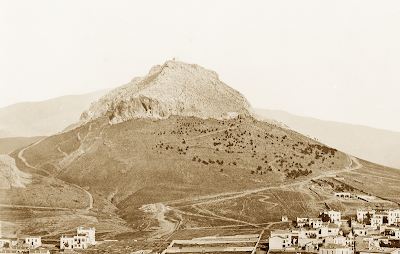 According to legend Lykavittos was inhabited by wolves, and its name might mean 'Mountain of Wolves'. The top of the hill used to be barren, until trees were planted here at the turn of the 20th century. 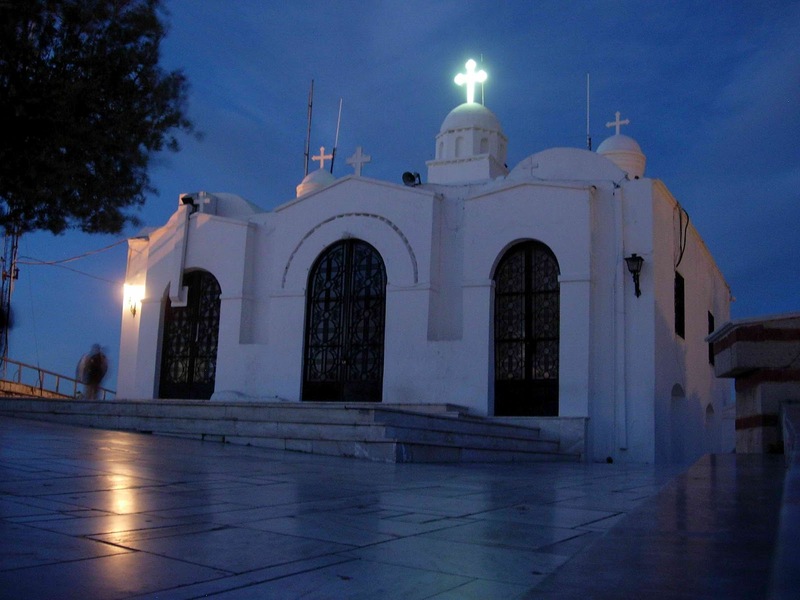 Perched on top of Lykavittos sits the whitewashed chapel, a landmark building that is visible from afar. 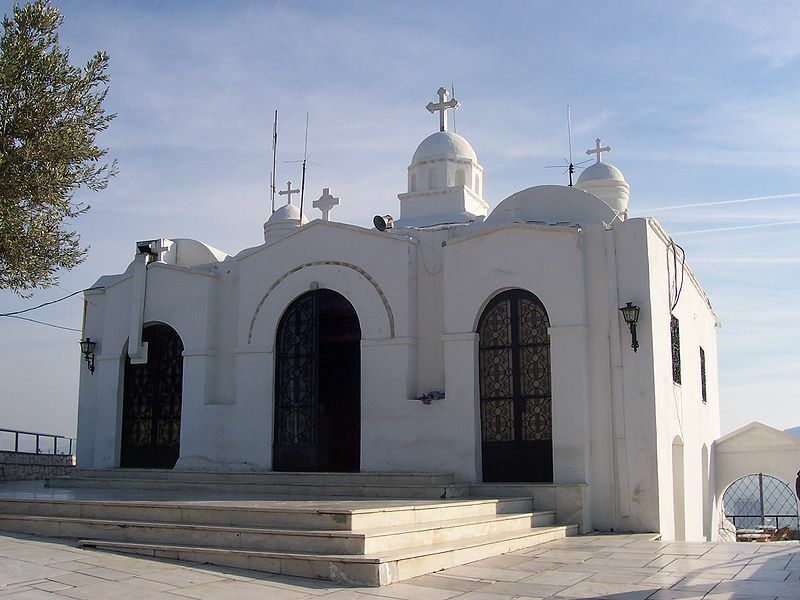 The Orthodox chapel, dedicated to St. George, was built here in the 19th century and replaced an older Byzantine church dedicated to the Prophet Elijah. 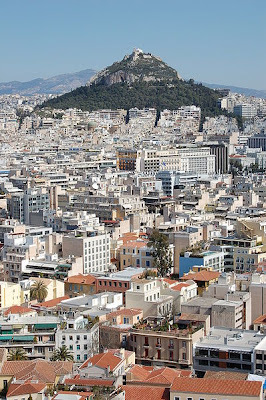 The Chapel is under the Metropolis of Piraeus. Travelers such as Laborde in 1672 mention there was a church here at that time. When this church fell to ruin a new church was built over it, a basilica, dedicated to St. George. This was established by Metropolitan Benedict (1782-1785), according to an inscription on the floor. This church was extended with two additional chapels, dedicated to Prophet Elijah and St. Constantine. Because the hill is difficult to climb, these structures were abandoned and fell into disrepair. 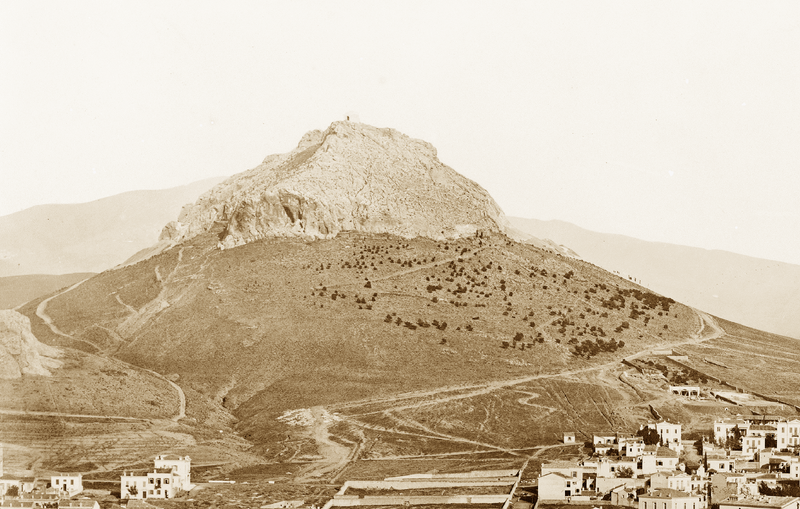 In 1834, however, a monk named Emmanuel Louloudakis scaled Lykavittos, cleared the ruins and rebuilt the chapel of Prophet Elijah and dedicated it to St. George. When Monk Emmanuel didn't return from his climb, those who knew him assumd he died during the climb. Three years later some Athenians saw lights on top of the hill, and climbing up to discover their origin, they found the monk had made a small paradise with a garden and patio. Locals gave money for a road to be built, and the chapel began to be visited, especially on Pascha which is about the time St. George is celebrated. Fr. Emmanuel reposed in 1885 and his grave is near the chapel he built. Some miracles have occurred in the Chapel of St. George. Today the hill is primarily a tourist destination to get a beautiful view of the city, and there is a restaurant for a dining experience with an exceptional view.